All rental homes involved in real estate investing are expected to experience a certain degree of wear and tear. As an Everett rental property owner, the wear and tear is a part of normal operations, from paint that needs to be updated every few years to carpets that need to be replaced. These regular upkeep responsibilities are all part of anticipating an inevitable degree of wear and tear. Reflecting on that, you can do things to bring down the amount of wear and tear on your rental homes. These comprise the use of durable materials, maintaining a good working relationship with your tenants, and performing regular property evaluations. Picking quality materials is a crucial part when it comes to reducing the speed in which certain areas of a rental property wear out and need to be replaced. Cheaper materials may seem cost effective at first, but cheap materials have a tendency to rapidly wear out, give an impression of being poorly made, and simply won’t stand up to heavy or even moderate wear. 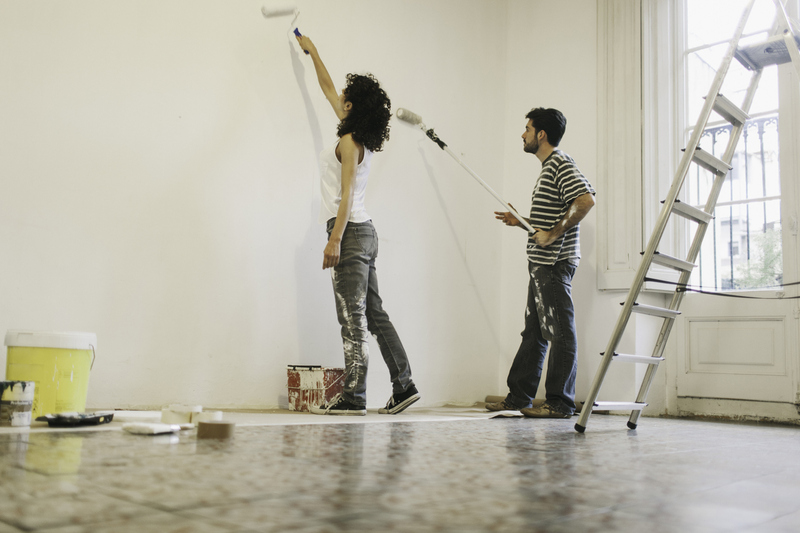 When it comes to painting, carpet, flooring, light fixtures, and appliances, it’s significant to pick quality materials that can manage to take a beating and keep going strong. This doesn’t mean you need to purchase the most expensive products; luxury materials are not required. But choosing the right materials for the amount of wear you expect can make a huge difference in replacement costs down the road. One more critical element in lowering wear and tear on your rental buildings is maintaining a good working relationship with your tenant. Renters who know they can count on and depend upon their landlord to take care of necessary repairs are more likely to report repair and maintenance issues earlier, resulting in a decrease in high priced repairs later on. They will, in all likelihood, work with you to preserve your Everett property. Deciding on the right renter is vital, but so is creating a relationship of mutual regard. This may mean going above and beyond simple service calls and instead, keeping in touch with your tenants every now and then. Renters may start to equate you with troubles and hesitate to proactively reach out for assistance If the only communication they have with you is when something goes wrong. It’s paramount to understand the importance of regular property evaluations. They are a significant part not only of property maintenance but of tenant relationships as well. Realistically, this can be a major investment of your time, but you can always employ Real Property Management North Puget Sound to work with you to keep your tenants happy and your rental home functioning in peak condition. Curious to learn more about our property management services in Everett? Please contact us or call us at 425-903-8500 for more information.